Looking for a used Ford F-150 for sale? Don’t rule out buying a 2014 model. Even though it’s two years old and will most likely have a higher-price tag than an older F-150, it’s well worth it. The 2014 F-150 is the last year of the 12th generation, and therefore strikes a nice balance between modern styling, features, capability, and a more wallet-friendly investment. One of the main selling points, however, is the abundance of trim levels that are available. It has nine trims to choose from, which means nine different price ranges and options regarding what type of used truck experience you’re looking for. While these nine different trim levels offer multiple engine options and features, what’s more important to understand is that the F-150 has a trim level that provides something for everyone — which is why it’s such a great buy. Having nine different trim levels is a lot to choose from. While that might be overwhelming, in the end it’s ultimately a good thing. Spread throughout these trim levels are also multiple configurations of body styles. The F-150 can come in regular cab, extended cab (SuperCab), and crew cab (SuperCrew) body styles. Regular and SuperCabs are paired to either a 6.5-foot or 8-foot cargo bed, and SuperCrews can come with a 6.5- or 5.5-foot bed. 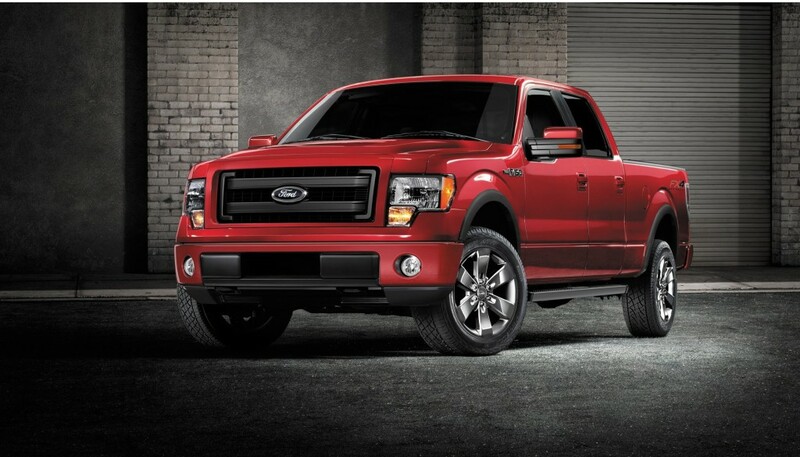 On the Raptor model, however, the F-150 can only come with a SuperCab or SuperCrew with a 5.5-foot bed. The commercial work truck of the lineup is most definitely the XL. It comes standard with 17-inch steel wheels, air-conditioning, a tilt-only steering wheel, vinyl upholstery — it’s essentially a bare bones truck kit. It was made for one purpose and one purpose only: work. This also means it will most-likely be the cheapest used F-150 model on the market to by. The SXT kicks it up a notch, and includes all the basics along with adding a few additional features. Such as alloy wheels, body-colored exterior trim, power-adjustable windows (rear power windows for the SuperCab) cruise control, cloth upholstery, a CD player and auxiliary radio jack. This CD player and radio jack are a welcome alternative to the XL’s AM/FM radio, and the cloth upholstery is also a pleasant upgrade. While it might cost a little bit more, the extra comfort and entertainment might be worth it compared to the XL, especially if you want to have your favorite tunes on the job-site. If you are willing to spend a little extra cash for some added comfort, the XLT is the way to go. Automatic headlights, foglights, and rear privacy glass are added. Along with a keyless entry keypad, Sync Voice control interface and Bluetooth phone and audio connectivity. These advancements might seem minor, but when paired with the features found previously on the STX and XL trims, you will have a used truck with a slightly-upscale feel to it, at a decent price. The FX trims all do the same thing: provide off-road and enhanced work capability. The bigger 18-inch alloy wheels allow for better grip and pushing power, and a trailer-tow package gives it better towing capability. Four-wheel drive FX models gain hill descent control, to help with both safely driving a heavy load downhill and descending a steep incline off-the road. Skid plates and an electronic locking rear differential are also on board as well. It adds a few comfort and aesthetic upgrades, like a leather-wrapped steering wheel and an upgraded 4.2-inch display for climate/audio functions and satellite radio — but the main attraction is the boost in capability found on the FX trims. The Lariat trim finally brings some leather upholstery to the table, but drops the FX’s off-road equipment. Now, comfort is the main priority, and features like 10-way power-adjustable heated front seats, driver-seat memory functions and MyFord Touch electronics interface are leading the way in that regard. Dual USB ports help with the functionality of the standard 8-inch touchscreen, and create a much more tech-centric cabin as well. The King Ranch has King in its name for a reason, and tacks on plenty of exterior upgrades to let you know that. Chrome trim, unique exterior and interior badging, running boards, and power-folding and heated auto-dimming mirrors are only a few of the luxurious upgrades the outside sees. It keeps everything the Lariat has on the inside, and adds ventilated front seats, heated rear seats, a rearview camera, remote ignition, wood interior trim, and a Sony sound system. Buying a used F-150 King Ranch is the way to go if you want to straddle the line between necessary and unnecessary fun-features in a truck, and if you want to have more luxury in your life. While the King Ranch is the king of bling, the coveted Raptor is the older and more experienced brother to the FX trims, and was exclusively designed for dominating the off-road trails. It forgoes many of the above mentioned luxury elements, and turns its focus to off-road features. 17-inch wheels paired with all-terrain tires provide the F-150 Raptor with a solid stance, and unique exterior looks let you know it’s meant for off-roading. Fixed aluminum running boards, front/rear tow hooks, a transfer case built for off-roading, high-performance suspension components, and an auxiliary equipment switch panel ensure the Raptor excels in any off-road scenario presented. Throw on a few aftermarket parts, and you have one of the most capable off-road trucks circulating through the market. The Platinum and Limited trims are both top-of-the-line vehicles when it comes to luxury. You’ll find no other F-150 trim that matches the comfort and upscale experience of these two models. Furthermore, you’ll be hard-pressed to find another truck that offers an upscale experience like these two trim levels. These trims take all of the great luxury features mentioned, and add on 20-inch wheels (22-inch for the Limited trim), xenon headlights, power-deployable running boards, automatic wipers, a wood and leather trimmed steering wheel, and a sunroof with a navigation system. The Limited adds on a monochromatic paint job and upgraded (and very luxurious) leather upholstery. Need above-average off-road and work capability? Grab one of the FX models. Or, take it to the extreme with the Raptor (albeit with a massive price increase). Looking for your basic solid and rugged work truck? The base XL trim’s got you covered. Maybe you are searching for an upscale luxury experience with your truck, which the Limited and Platinum can provide. 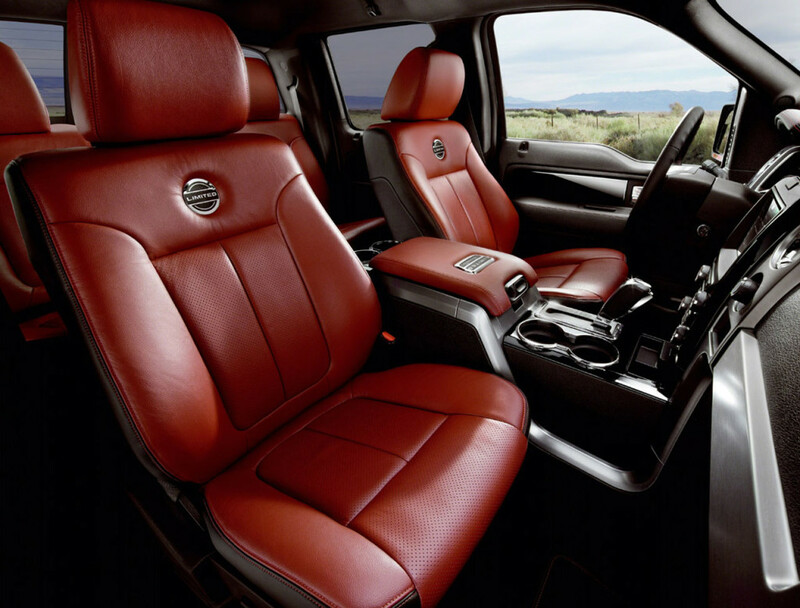 For a lower price, the King Ranch will suit your fancy just fine. 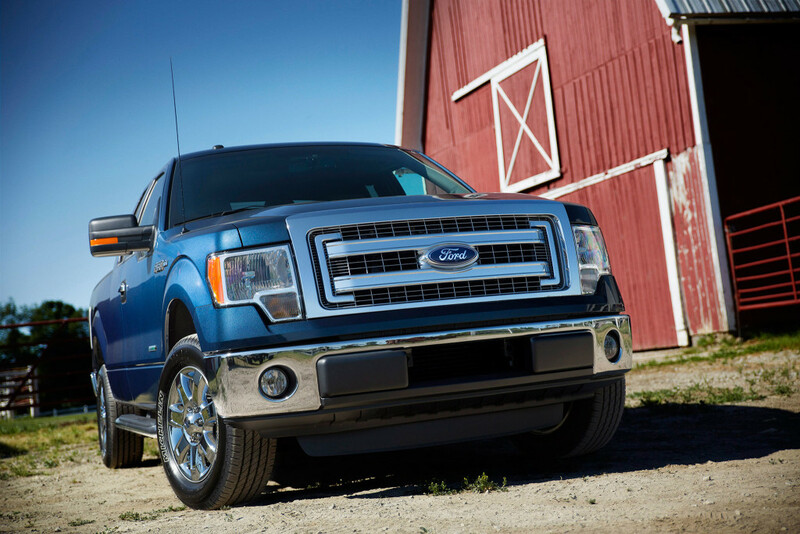 The versatility offered between the trim levels is what makes the 2014 used Ford F-150 such a great buy. It’s new enough to benefit from some of the well-loved modern features, but still old enough so the price is reduced a bit by depreciation. While this price fluctuates depending on what type of trim you get, the fact remains that whatever price you are willing to pay for a used F-150, you are going to get exactly what you’re looking for. Which is something not a lot of other trucks offer.